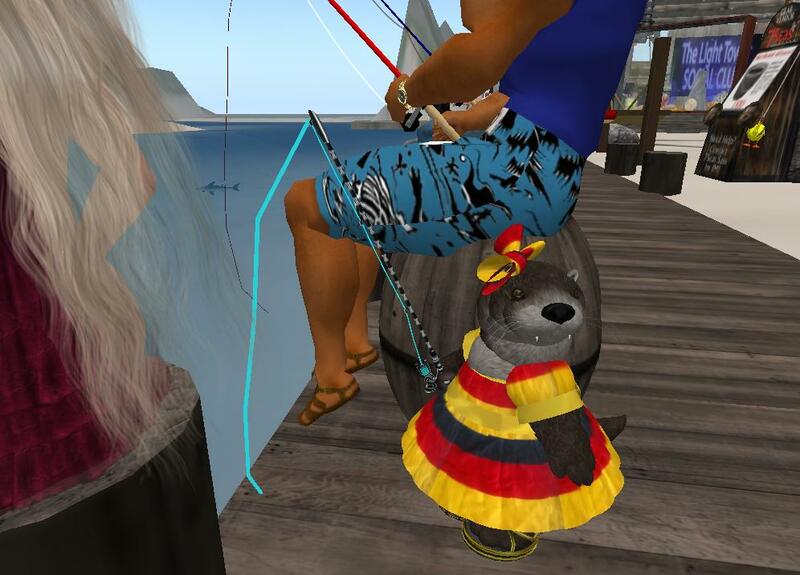 Fishing in Second Life can be so much fun. If you have not tried it you should. You can get a demo rod to find out what it is all about at any 7Seas vendor. I have been fishing for over a year now. When I started I kept every fish I caught. I suddenly saw my inventory bulging, and then put some away in a container. Slowly I began to realize how silly this was . The fish are always there and so many fish to catch! I began to be selective in my haul, giving many away to non-fishing friends. Then I began attending contests. What fun! 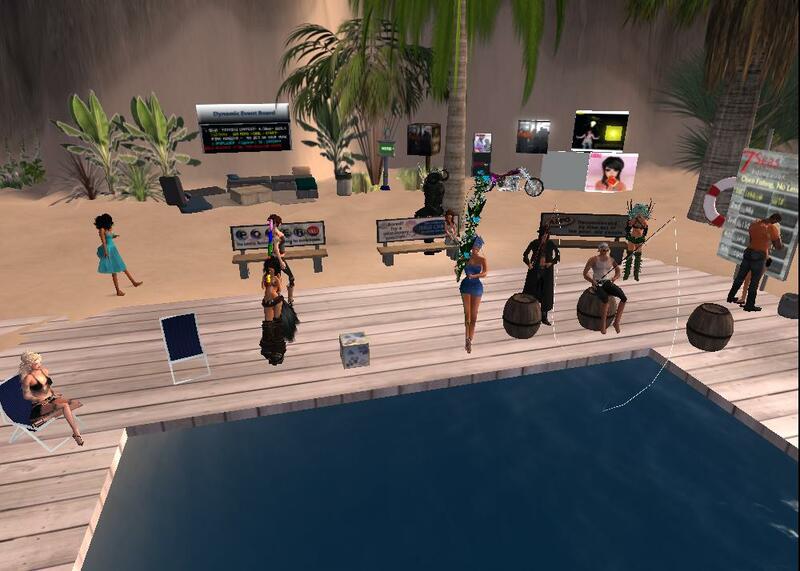 There is a cadre of fisher people in SL who travel from contest to contest keeping in touch with each other in the 7seas social chat. Announcements are sent out in that chat with details of the prizes, type of contest and time . Most places have rods and custom fish to be caught, some very extravagant. I now host contests myself at Relaxation sim and Thorstar. The in-between announcements in group chat are the funniest and some of the most enjoyable I have come across in any group! A true chat group! Most fishers are always ready to help out anyone who asks. Contests can be very quiet, with the fishers attending to who-knows-what off line, or sometimes raucous as the speakers tease the others and themselves. Many types of avatars love to fish, tinies, furries, vampires, skeletons, birds, kids and who knows what else you might meet. You will hear many languages so you know it is a universal hobby. Almost all contests are baited so you have to save money to buy the bait. You have a chance of winning lindens at the contest and sometimes you will get bait for standings on the fishing board. Once you gather xpoints for every fish you catch you find yourself in the Hall of Fame. ( I’m there!) Breeding is the next thing! With a mama and a papa and some food called luv-n-flakes, you can make babies. Of course now that you have babies it is time to snuggle them, everyday, to get baby xpoints. With these points you will be in the Breeding Hall of Fame! (I am there too). Well, if I have not enthused you yet, I guess you will not be a fisher. Too bad. It is so much fun! I admire the creators of 7seas fishing for keeping it going and inventing new interest with fish and xpoints. It is amazing how such a "boring" thing can become so magical. Did you know that you can shorten your long links with Shortest and get cash for every click on your shortened links. So Why Am I a Kid Avatar?